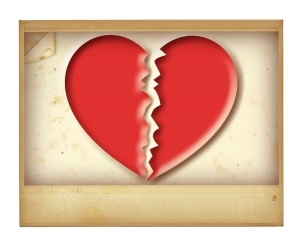 Is the new diet a broken heart? Not the case at all. Some people’s stomachs are tied directly to their hearts. Their hearts break, and it’s like their stomachs do the same. There are a few women in my life right now who have recently lost a significant amount of weight in a short period of time. Not because of eating habits, not because of exercising, but from simply not being able to eat because of a broken heart. Unfortunately, none of my broken hearts have caused me to lose weight. Recently I had my heart broken, but I didn’t think, “Boo. I hate food.” I guess the good thing is, I also didn’t think about buying out the entire section of Ben & Jerry’s at Kroger. Needless to say, I’m clearly not an emotional eater. These women who have lost weight look phenomenal, but it’s not healthy. It’s really got me thinking that the new diet is a broken heart. And I find it difficult to tell them how great they look when they lost the weight in such an unhealthy way. My recent experience with a broken heart led me to join the YMCA and start working out. But to me that’s a healthy way to handle heartbreak. I figured out that working out was how I would deal when one day I was upset, went to work out anyway, and afterwards I felt AMAZING. It was like I didn’t even care about what had upset me earlier. I hope my choices continue to be healthy. Maybe it’s an age thing, a maturity thing. Dealing with heartbreak as a 32-year-old is definitely different from dealing with it when you’re 23 (whoohoo let’s get drunk!). I just hope these ladies know that once they get back to actually eating, they will gain the weight back unless they make some lifestyle changes. A broken heart is sad enough as it is, ladies. Don’t destroy your bodies by not eating, or by excessive drinking or any type of drug use, just because of a breakup or some other heartbreak. Get through the heartache with prayer, exercise, and surrounding yourself with great people.